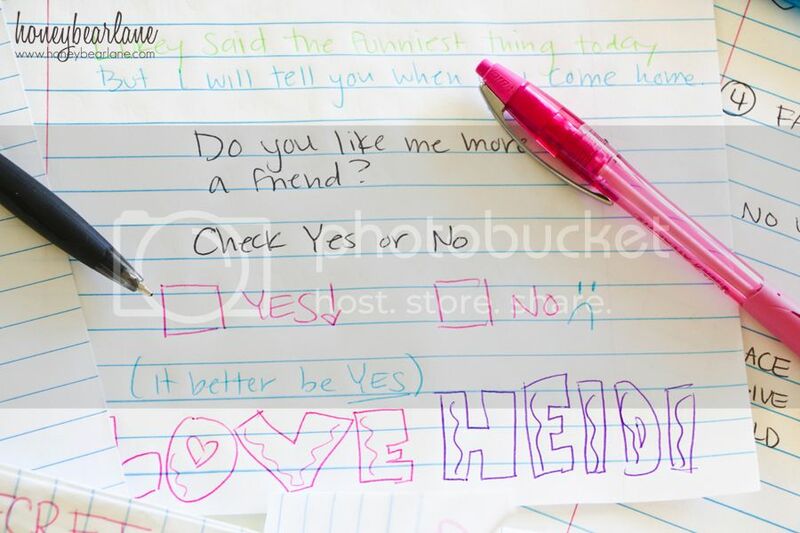 One of my fondest memories of my grade school years were notes. 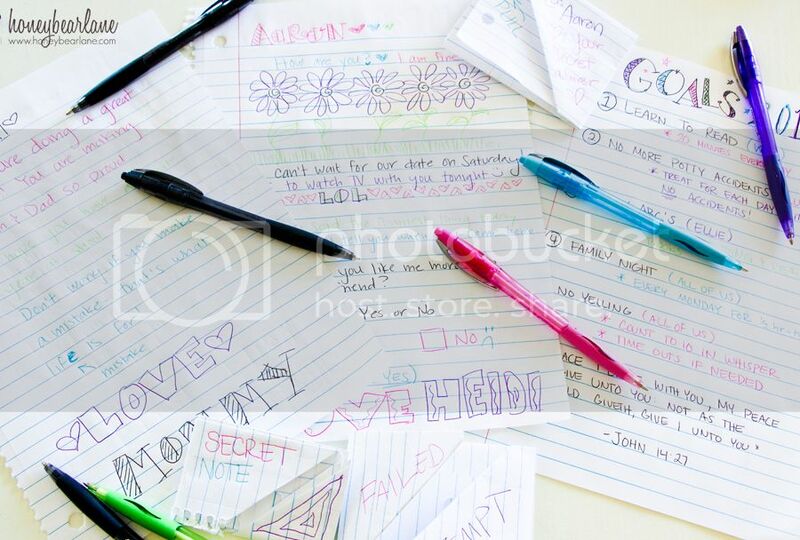 Passing notes was a huge thing back then. (I guess it could still be huge but I would have no idea.) But more than passing the note which, by the way, stated incredibly unimportant yet still urgent pieces of information of which could not wait until the end of class, was the way it was FOLDED. The way it looked. Being a girl, my notes had to be folded very cute and have the person’s name on them written in a cute way. The contents of the actual note was more just an excuse to doodle during class. I don’t think any life-changing news was ever delivered via classroom note, but rather a beautiful piece of artwork to share with my friends. A caricature of me, a daisy chain, and bubble letters. Here you can see the notes I wrote to my husband to read during his classes-teehee! I also wrote a few for my kids to appreciate, along with our yearly goals. My favorite pens of all time are BIC®. I’ve purchased other brands, more expensive ones, and they always, always crap out on me. Yet the timeless BIC® pens have the smooth-glide, the reliable ink flow, and require very little pressure. They don’t explode in your backpack or purse or fall apart. They hold up to endless knawing on the end. I mean seriously…I LOVE these pens. And after testing out the new BIC Atlantis® pens, these are the ones I recommend to include in your Back-to School shopping.